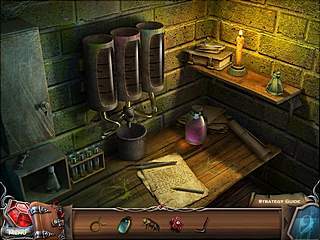 9: The Dark Side Collector's Edition is another game where you get a chance to fulfil your destiny. It is much easier done in casual games than in real life, which creates a false feeling of personal achievements. Other than that the game also gives a true feeling of the challenge with everything the game offers you in its gameplay. The most interesting part of the game for me was the puzzle that you get to solve along the way. You play as the one fortold by a legend to come and rescue Prague. The story goes back to the conflict between the clan of the Nine and The Guardians. The darkness was called upon the city by the Nine as they turned to the dark side. The city has been haunted by the darkness for centuries since then. Now you are to deal with it as you explore the old city and interact both with the citizens and the spiritual world. Even though the story sounds like a dark one, the game isn't creepy really. The most interesting part of the game for me was the puzzle that you get to solve along the way. They were fun to play even though they are based on the same old principles. 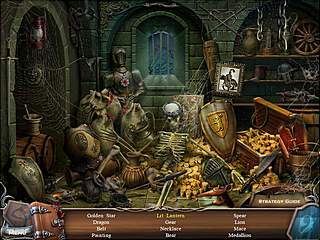 There are also many hidden object levels that are not as challenging as the puzzle, but I believe it is easy to change by choosing a more difficult mode. And, of course, you travel a lot to different places and pick up many items to use on your quest. The graphics are great, but I should admit, they are not the best that there is out there. But the presence of the voice over makes it all better. This is 9: The Dark Side Collector's Edition review. Download this game here.